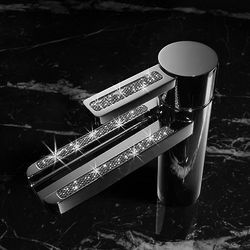 Crosswater Gallery > Glitter Waterfall Basin Mixer Tap With Lever Handle. 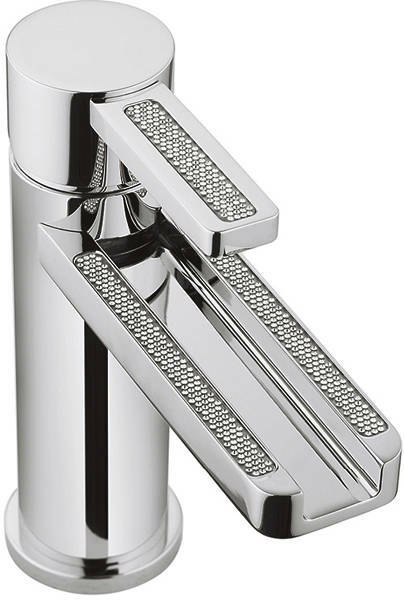 Glitter designer waterfall mono basin mixer tap in chrome with lever handle. Luxury Sparkle feature on the spout and handle. Waterfall spout with easy to use lever handle. Manufactured from solid brass and then chrome plated. Ceramic disc technology (for a longer life). Minimum water pressure required: 1 bar. 15 Year guarantee: Crosswater guarantee their Gallery taps for 15 years. 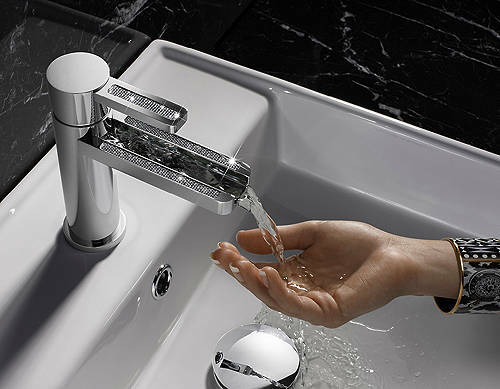 The Crosswater Gallery collection of designer basin taps offers you exceptional build quality and a choice of Sparkle, curved and wedge shaped spouts so you are sure to find your perfect tap.